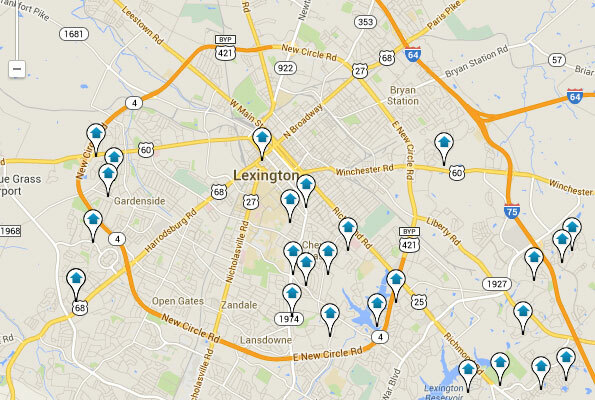 Lexington, KY's Top Home Search Site! Welcome to Lexington Real Estate Source, where the motto is: "No Pressure - No Kidding." My name is Sharon Roark and I treat clients the way I like to be treated. I believe most home buyers and sellers are like me -- they want information, not pressure. And that's the way I operate. This "no pressure" approach, along with my skill and dedication, have won me many repeat clients over the years and if that's the way you prefer to be treated, I think you'll enjoy working with me! On LexingtonRealEstateSource.com, you can search all real estate in the Lexington/Central KY MLS. It's updated every day with the latest listings by all member agents in the area and I can show you properties listed by any of them. Whether you're looking to buy a home or other property in Lexington, Georgetown, Frankfort, Lawrenceburg, Nicholasville, Paris, Versailles, Winchester or anywhere else in Central KY, if it's in the MLS homes database, you can find it on my site.